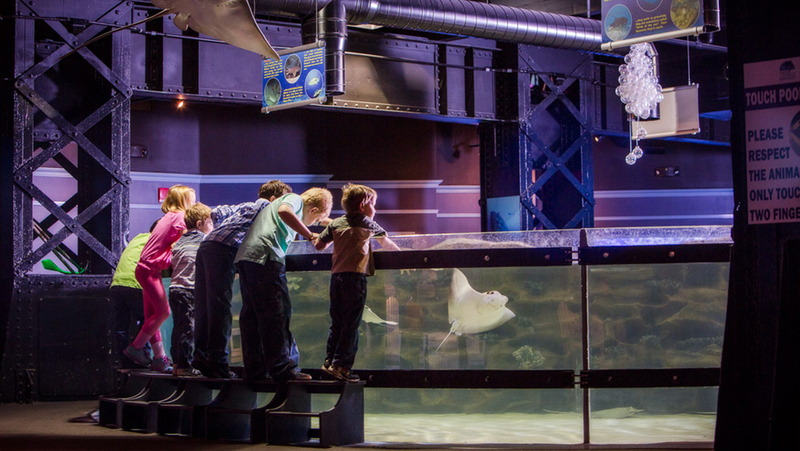 Converting an electrical powerhouse into a structure that sustains and celebrates aquatic life, while preserving its historical integrity, posed immense engineering challenges. Systems were meticulously designed with a 24/7 mindset to ensure underwater creatures would thrive, especially after hours. The Powerhouse Building, built in 1892 on the west bank of the Cuyahoga River, once powered Cleveland’s extensive streetcar system. 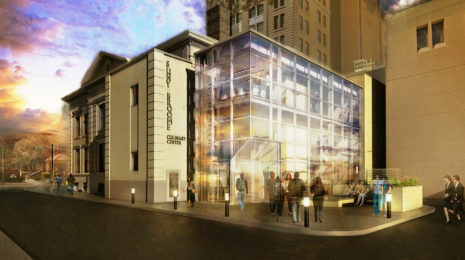 Throughout the 1990s and 2000s, the Powerhouse served as a mixed-use entertainment complex, with comedy clubs, restaurants, and retailers. 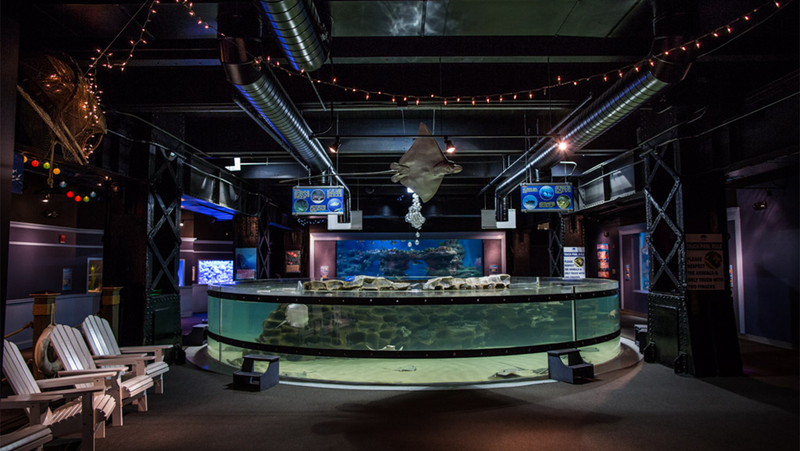 Today, the Powerhouse embodies The Greater Cleveland Aquarium, a transformation that ended a 26 year period where the city was without a public aquarium. Converting an electrical powerhouse into a structure that sustains and celebrates aquatic life, while preserving its historical integrity, posed immense engineering challenges. This included careful mitigation of the corrosive effects of saltwater on the historic structure. Systems were meticulously designed with a 24/7 mindset to ensure underwater creatures would thrive, especially after hours. This included a constant pumping and treatment of water, preventing stagnant water and harmful algae. 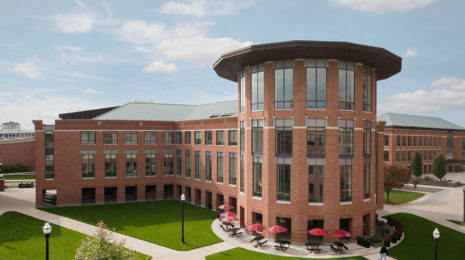 Humidity controls were also vital to the design solution in order to prevent water evaporation. By nature of the program, major challenges arose with respect to lighting design. With code requirements that dictated electricity’s proximity to water, our engineers had to get creative with how safely light the 230,000-gallon tank for both divers and sharks alike. Detailed research and exhaustive underwater photometric calculations were required to make sure a code worthy solution was even possible. A solution was possible: 1000 watt light tubes were implemented to shoot light across the massive tank. This upheld required clearances, and no electricity traveled over water. Lighting inverters also were integrated into the design, which bridged the gap in the event of emergency power being activated, preventing fish and sharks from going into shock. 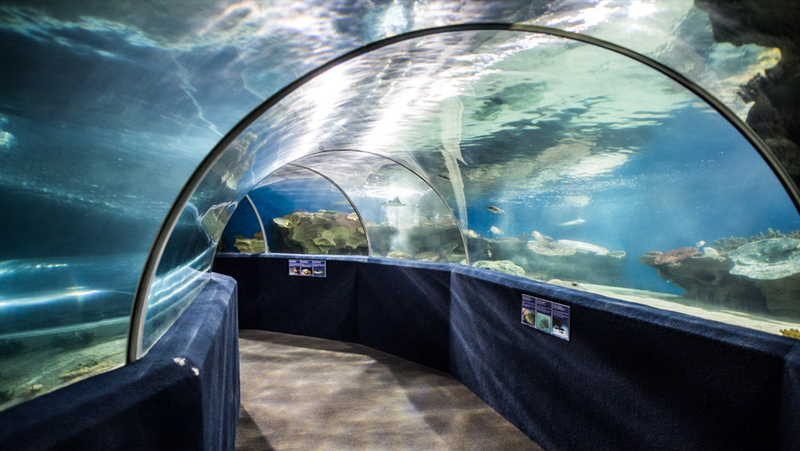 A key architectural feature includes a long winding glass tunnel, strategically ventilated via floor cavities in order to avoid bulky ductwork that would obstruct views of underwater creatures. Perhaps the most fascinating adaptation of the structure is repurposing the iconic Powerhouse smokestacks to be vessels for moon jellyfish. Visitors can walk below the stacks, and witness tall channels of the glowing creatures. 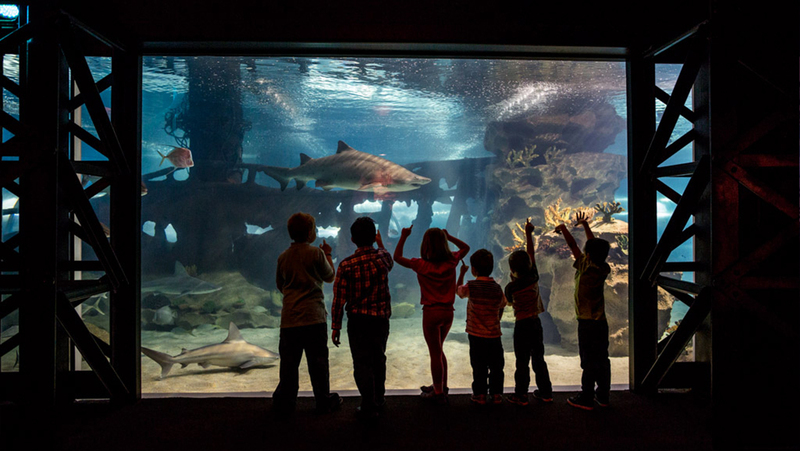 The unconventional aquarium breathed new life into the historic landmark, becoming an imaginative destination that continues to inspire and educate its visitors.